Elon Musk. People label him as eccentric and fearless. He’s got all these out-of-this-world ideas (literally and figuratively) that don’t just remain ideas but are materialized for the sake of the world and its people. It’s like no idea is big enough to scare him. Musk doesn’t settle with imagining possibilities. He creates them. Have you ever thought of doing something that could change the world? Maybe you can start with a little dose of inspiration to make you believe that you can. 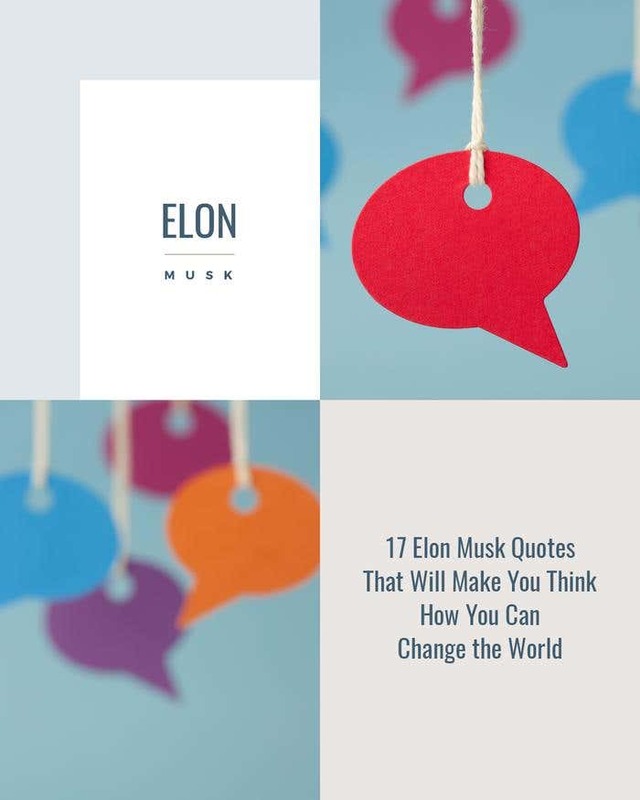 Here are 17 encouraging quotes from Elon Musk to fuel your own dream of changing the world. NOT EVERY DAY IS A SUNNY DAY. DON’T GIVE UP. YOU CAN BUILD THE FUTURE. What do you think the future would be like if more people will emulate Elon Musk’s vision and achievements? If you have an exceptional idea of a product or innovation that you think the SpaceX founder would come up in the future, share it with us through this contest we’re running: Design the Future According to Elon Musk.